The Auditor General of South Africa briefed the Committee on the audit of the Department of Rural Development and Land Reform’s (DRDLR’s) financial performance for 2013/14. The Department had received an unqualified audit opinion for financial statements and predetermined objectives. This differed from 2012/13, where it had received an unqualified opinion only for financial statements, with a qualified opinion for predetermined objectives. It had been found that some employees in the Department were in ‘acting’ positions for longer than 12 months and there had been vacancies in senior management positions for more than six months. Quite a few fraud investigations had been handed over to the Special Investigating Unit (SIU) regarding restitution claims. A few cases had been handed over to the internal auditors, who were conducting their own investigations. The main fraud cases in the Department related to restitution with false beneficiaries, who claimed financial restitution as part of a bigger restitution claim. Also, Department officials had manufactured false identification documents as part of the restitution claims. Corruption of officers was another important issue. Cases were also found which were difficult to prove, where Department officials and farm owners were in collusion over land prices, which resulted in the Department ending up buying land at above the market price. There had also been some investigations regarding the fraudulent transfer of title deeds. The Minister gave a briefing on the performance of the Department. He said it had challenges in some of the programmes. He had hoped to see an improvement in rural enterprises, because the rural economy was being prioritised. One of the aims of the Department was to build the social and economic infrastructure so that productive forces could be developed. This was why there was a focus on building the capacities of young people and lifting human enterprises. If one wanted to transform South African society, it made sense to focus on the rural economy. In this way, investment could be attracted. The Ingonyama Trust Board (ITB) briefed the Committee on its annual report for 2013/14. The ITB was encouraged to use the Government IT system instead of Pastel. The Committee asked how far the ITB had gone in seeking legal advice about the evaluation of land. With regard to joint ventures, what was the beneficiation for the community? Why was it unable to fill two vacant positions? What were the direct benefits of the mines on ITB land? Members asked if families connected to Traditional Councils were receiving educational awards at the expense of the community, and wanted details on the amount of money spent on cutlery and traditional carpets. The Committee expressed concern about Board members doing business with the ITB, especially because the King was a shareholder in one of the companies involved. The Commission on Restitution of Land Rights said it exceeded its targets by settling 270 new claims against the target of 230, and finalising 292 claims against a target of 208. The Commission’s performance had benefited 36 905 beneficiaries of the restitution programme. The total financial value of the claims that were approved during the period under review was R2.056 bn. The total expenditure was R2.334 bn. The Committee asked if there was recourse for people who did not have access to the Commission. The Commission was congratulated because it had exceeded its target and done excellent work. Compensation in the form of vouchers was explained. The Economic Freedom Front (EFF) Member said that all evidence pointed to the fact that there was no money for restitution, and no plan to deal with a crisis, which the Minister was not admitting. It was known that the anticipated new claims would be in the region of 40 000, but old claims had not yet been resolved. The EFF almost making an appeal that it should be accepted that there was a crisis. Its solution was expropriation. This required political courage which the EFF claimed was lacking in the ruling party. The Minister repeated that there was no crisis. The Committee was briefed by the DRDLR on its annual report. The Committee was pleased that the Department had received an unqualified audit opinion. Incidents of fruitless and wasteful expenditure had declined by 84% from the previous year, which indicated that the Department was improving on its internal controls. Despite these gains the Department had regrettably incurred increased irregular expenditure, from R5.7 million in 2012/13, to R12.6 million in 2013/14. Members questioned the vacancy rate of 18%, the different figures related to learners involved in the National Rural Youth Service Corps, whether the Department had explored how to retain staff, and if the commitment to 30% of land restitution had been abandoned. The Committee cautioned that although the spending patterns of the Department were good, it should try to ensure that these patterns were in line with performance. The Department had to provide a list of all its assets to the Committee. The Committee commended the Department on its achievements for the financial year under review and for its intervention in assisting the ITB. The Chairperson said that this was the Committee’s first briefing from the Office of the Auditor General (AGSA). As the Committee was aware this was one of the Chapter 9 institutions that assisted oversight regarding the financial performance of the Department of Rural Development and Land Reform (DRDLR). The AGSA would advise the Committee on some of the issues that needed to be focussed on as the Committee dealt with the Department’s annual report. Mr Eugene de Haan, Senior Audit Manager: AGSA, said that the purpose of the presentation was to provide Members with the necessary information and guidance on the audit outcomes for the Portfolio Committee to effectively execute their oversight function. In 2013/14, the DRDLR obtained unqualified opinions for financial statements and predetermined objectives. This differed from 2012/13, where it had received an unqualified opinion only for financial statements, with a qualified opinion for predetermined objectives. The Ingonyama Trust Board (ITB) received qualified opinions in 2013/14 for both financial statements and predetermined objectives. The reason for the qualified opinion on predetermined objectives was that the ITB had only four targets, and one was not useful and measurable. In 2012/13 the ITB also had a qualified opinion for financial statements, but got an unqualified opinion for predetermined objectives. Mr De Haan said that there was overall stagnation in the audit outcomes. In the category of risk areas, human resource management was an area of concern, with intervention required over the quality of submitted performance reports. For Information Communication Technology (ICT) governance and controls, performance reports and compliance with legislation were not assessed. Mr De Haan concluded by saying a clean administration and improved service delivery could create a better and dignified life for the citizens of South Africa through timely effective, efficient and economical service delivery. (See document). The Chairperson thanked the Auditor General for the informative presentation. There were some issues that the Committee needed to focus on, to make sure the matters of emphasis were not recurring every financial year. It needed to be taken into consideration that there had been a slow response from management in addressing some of the issues, and some of the implementation plans had had to be fast tracked. Mr M Nchabeleng (ANC) asked what the Ingonyama Trust had paid for, how it was procured and from whom. He needed to keep a check on what was being dealt with. Mr De Haan replied that the Ingonyama Trust had not received any non-compliance on 30-day payment, as they had paid for supplies within 30 days. There was a non-compliance matter in regard to supply chain management, and the internal auditors said they were still busy resolving the issue of the qualification regarding land and royalty revenues. The Ingonyama Trust had internal controls which were functioning, so there was no non-compliance. Mr T Mhlongo (DA) asked for information regarding ‘Audit outcomes for the portfolio’ (slide 6), to be repeated and explained. Mr De Haan replied that a qualification was found for the Ingonyama Trust, and the other three entities had received unqualified opinions. The biggest matter of concern was in the area of compliance with legislation, where there had been non-compliance by all four entities. The performance report in the bottom circle referred to the Department receiving an unqualified opinion, while the Ingonyama Trust and Deeds had qualifications. Mr Mhlongo asked for an explanation about ‘Audit outcomes for the portfolio’ (slide 9) regarding risk areas, especially human resource management. Mr De Haan replied that some employees in the Department were in ‘acting’ positions for longer than 12 months, and someone was found in a senior management acting position for longer than six months. Overtime was paid out to an employee, amounting to more than 30% of his salary. The reason for this was that this employee reported directly to the Minister and was on standby all the time. The Auditor General (AG) also found vacancies in senior management positions for more than six months. 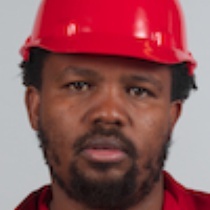 Mr A Mngxitama (EFF) asked if there were any details about what was going on at the Ingonyama Trust Board. He asked further if it was a general problem of delaying responses to matters that had been identified, and if in the Board’s estimation this problem could be solved. With regard to fraud cases, Mr De Haan replied that Members could look at the Microsoft Word document (pages 24 to 25), which talked about investigations currently taking place at the DRDLR. Quite a few investigations were handed over to the Special Investigating Unit (SIU) regarding restitution and claims. A few cases had been handed over to the internal auditors, who were conducting their own investigations. The main fraud cases in the Department related to restitution with false beneficiaries, who claimed financial restitution as part of a bigger restitution claim. Also, Department officials manufactured false identification documents as part of the restitution claims. Corruption of officers was another important issue. Cases were also found which were difficult to prove, where Department officials and farm owners were in collusion over land prices, which resulted in the Department ending up buying land at above the market price. The Department had combated this by getting independent evaluators. The internal audit did have its own investigation unit serving the Director-General and the Minister directly. The internal audit also had a very good relationship with the SIU. There had been some investigations regarding deeds as well, where there had been fraudulent transfers of title deeds. This had been monitored and tracked, but it could be reported only at the final stage. It would be best to ask the Director-General (DG) about this. The Chairperson asked for clarity about the areas marked ‘not assessed’ on page 8 of ‘Audit outcomes for the portfolio’. Mr Mngxitama asked for an explanation about ‘Audit outcomes for the portfolio’ (slide 8), where the area ‘ICT governance and controls’ had not been assessed. Mr De Haan said the reasons for ‘not assessed’ was because those IT systems formed part of the Department’s IT systems and part of the financial systems, so for performance information they did not use any IT systems. Everything was done manually. That was why duplication and wrong accounting areas had been reported. It was made clear to the Department that although it might not want to procure an IT system now, it was important for the future to manage its performance information because there was lots of information to report on. The same applied to legislation, where no IT system was involved. Mr Mngxitama said that the Department’s budget should be divided into two segments – Restitution, and Land Reform. A lot had been said about the restitution aspect in the budget. He asked if there might be another time to deal with Land Distribution and Tenure. He was interested in the comments about the good things done around restitution, and the Committee would engage with the Minister about it. There was awareness that R4 billion was needed to settle and approve restitution cases. He suggested that once redistribution in particular was on the agenda, then one could get some sense of what the approved projects were. Mr De Haan replied that the budget for Rural Development had three main programmes: Land Reform, Restitution and Rural Development. The majority of the budget was allocated to Land Reform and Restitution. Restitution was the main commitment in the financial statement. There were some land reform projects that were an approved part of the commitment. If the Committee wanted more information, then there could be a discussion afterwards to see how to provide more information on the land reform budget. Technically, everything was set out in the appropriation statement in the annual report. Mr Mhlongo asked if there were any rules as to how long investigations should take. Mr De Haan replied that there was no rule of thumb for how long an investigation should take. The Chairperson declared the second session of the meeting open, and welcomed the Minister, the Deputy Minister (Mr Mcebisi Skwatsha), the team from the Department, the Acting Chairperson of the ITB, Judge Jerome Ngwenya, Members and guests. She announced that these meetings were open to the public, unless decided otherwise. Today’s meeting would focus on the annual report of the Department and the entities, looking at the Public Finance Management Act (PFMA). At the end of September each and every financial year, the Department was supposed to submit its annual performance plan (APP). This APP was aligned to its strategic plan for five years. The Committee would focus on the annual report of the Department and the Ingonyama Trust Board, based on the APPs submitted at the beginning of the financial year. Apologies were noted for the Deputy Minister (Ms Candith Mashego-Dlamini), Ms N Magadla (ANC), Ms A Qikani (ANC) Mr T Walters (DA) and Mr M Filtane (UDM). The Chairperson handed over to the Minister to provide an overview and explain the intention of the meeting. The Minister said that they were presenting a report that reflected continuous improvement. It was correct to put it that way, because the Department was working very closely with the Office of the Auditor General (AG), who was well aware of the intentions of the Department. The Department was still on course in terms of improving its financial management. The guidance provided had helped enormously. The AG had identified areas of weakness and the Department had then decided to develop projects to deliver on all the questions and queries that had been raised. All officials were clear on this, so they were interested in seeing results. He said he would like to draw the attention of Members to the special circumstances surrounding the Ingonyama Trust Board. These circumstances were not of the Board’s making -- they were part of the transformation of South African society. The Department had been consulting on communal land and there had been no objections to the Communal Land Tenure model being developed. The Department planned to present a Bill. The second aspect that had been agreed upon was developing a policy that included a strategy to work closely together, so that the requirements of the law could be satisfied. Restitution should not be sensationalised. There were no funds available to process the new claims coming in. The Trust was budgeting for the next financial year to be able to deal with claims. He thought that there was an understanding about this, except that the Democratic Alliance now had new members and matters had to be explained again. How could the Department have the money to do all these things? The Department was looking for logistical support now to deal with the existing priorities. With regard to the Department, it had challenges in some of the programmes. He had hoped to see an improvement in rural enterprises, because the rural economy was being prioritised. The Department hoped the Committee would provide assistance. One of the aims of the Department was to build the social and economic infrastructure so that productive forces could be developed. This was why there was a focus on building the capacities of young people and lifting human enterprises. If one wanted to transform South African society, it made sense to focus on the rural economy. In this way, investment could be attracted. This was why there was now an emphasis on building up young people. It was an expensive venture, because one had to start from zero. It involved working with the Defence Force, which charged the Department. The young people from the villages were taken to Further Education Training (FET) colleges. This would pay off in the long run. These young people were offered training, and the Department even had a relationship with China. China used this model to focus on rural communities to build the economy. Two groups of young people had gone to China and received training there. Mr Mhlongo said that some political decisions had been taken without consideration of the cost, because today it had been admitted that there was no money to process new claims. He said the Democratic Alliance understood the historical background. He was concerned about what the Minister had said about the Ingonyama Trust Board (ITB), because there should not be a situation where board members continued serving for years. The Democratic Alliance would continue to do its oversight work. Judge Jerome Ngwenya, Chairperson of the Board: Ingonyama Trust, tended apologies for the absence of two board members. The board had four committees: Executive Committee; Tenure Rights Committee; Audit Committee and the Bid Adjudication Committee. The Audit Committee had reviewed the Auditor-General’s management letter and management’s response thereto, the changes in accounting policies and practice, and the significant adjustments resulting from the audit. The risk management strategy and risk profile for the year had been reviewed. Mr Amin Mia Chief Financial Officer (CFO) and Acting Chief Executive Officer (CEO), said that the Ingonyama Trust made funding available to community beneficiaries. The three categories for this funding were: bursaries, administration costs, and infrastructure and projects. Total payments made to Traditional Councils in the 2013/2014 year amounted to R3 835 109. Payments for bursaries amounted to R486 048, or 13% of total payments. For administration R1 670 745 was paid (43%), and R1 678 317 was paid for Infrastructure and projects (44%). The two significant accounting policies in practice at the ITB were Revenue, with the straight lining of lease income to comply with GRAP (General Recognised Accounting Practice) standards, and Property, Plant and Equipment policy. The decrease in the net asset value was mainly due to the rates provision made in 2014, which was previously reported as a contingent liability. The total revenue for the year 2013/2014 was R104 897 739, of which 71% was from rental income, 19% other income, 9% finance income and 1% for royalty income. Matters reported by the Auditor General were in the areas of property, plant and equipment, and royalty revenue. The Trust would seek legal and accounting advice regarding the termination of land values. In answer to a request from the Committee regarding the misconduct of employees, Mr Mia said he was pleased to report that there had been no cases of employee misconduct or investigations held for the year. Resolution: The Board was currently reviewing a rates position paper which included setting up a component within the ITB to administer the verification of rates liabilities for the eventual payment of rates. Resolution: Signage was placed on ITB land in cases were there was a confirmed threat of illegal occupation of land; security patrols were undertaken in specific areas for reporting of illegal occupation; and legal action was taken against offenders. The Chairperson thanked the ITB for the presentation. Mr Mhlongo welcomed the presentation especially as it had been better than the one given in the previous financial year. He said that the ITB should consider using the Government IT system, instead of using Pastel. Mr Mia said the Pastel system was used exclusively for non-government organizations, because the ITB generated its own income and it was easy to use this software package. The ITB would explore the use of the BAS (Basic Accounting System) used by the government. Cost would play a major part in considerations, as well as the administrative burden of converting from Pastel to another system, because the current system at the ITB had 10 000 records. Mr Mhlongo asked the Minister why the ITB was not evaluating land, and the response was that it was State land. In the AG’s report, the ITB had said that it would seek legal advice on this matter. He asked how far the ITB had gone with this. Judge Ngwenya said that the ITB was still at an early stage regarding seeking legal advice for land evaluation, because it first had to obtain exemption from the Accountant General. With regard to the state land issue, where the Member had said the ITB should give more information in their responses to the Auditor General, the ITB was saying that the cost that would ultimately be incurred would far outweigh the benefits of land evaluation. The ITB was mindful of irregular expenditure, and in the end the benefit would be seen as wasteful expenditure compared to the amount of money to be spent in evaluating the size of the land in order to comply. Mr Mngxitama said that in the presentation from the Auditor-General, the Committee had been advised that the almost adverse comments the Department had received was precisely because of accounting problems related to the Trust. He said that even though he was new in the Committee, this was a recurrent problem. He did not think that it was a problem with the Trust. There was a need to find a permanent solution to this problem. The Minister, in his input, had suggested that the Communal Land Rights Bill – which had massive problems, and the draft had apparently been struck down by the Constitutional Court - could not resolve this matter, and in fact exacerbated it. So it would be good to get some sense at this point as to what extent this Bill was resolving the problem. Judge Ngwenya replied that the long-term solution had to be left to this Committee to provide guidance, because as the Member had said, this had been a perennial qualification of land not having been evaluated. The sheer financial resources that would have to be invested would far outweigh the transfer of the land. He apologised for not providing information. Mr A Madella (ANC) said that in terms of the performance report and the tenure rights to be granted, there had been no indication or explanation of what the challenges were. He asked why this had not been done. Judge Ngwenya said he would deal with this question about what the exact tangible benefits to these communities were, and a question raised by Mr Nchabeleng regarding the uneven relations between rich and poor people. He would focus on the nature of the relationship between the ITB and Tongaat Hulett, and the tangible benefits. Ordinarily the people who had land did not have access to adequate finance to plough their sugar, like commercial farmers. This situation worsened when one looked at the National Credit Act, because these people did not qualify for loans. From the onset, Tongaat Hulett had guaranteed them a market for sugar cane. This sugar cane came from the small sugar cane growers, who needed infrastructure, irrigation schemes and fertiliser. Tongaat Hulett had one provider with a micro lending scheme, where money was advanced to small growers up front. When the sugar cane was ready to be submitted to the mill, the owner of the sugar cane concern got paid less than what had been advanced before by Tongaat Hulett. Also Tongaat Hulett had given about R300 million for a job creation project. There was a government job creation fund where Tongaat Hulett gave about 40% and in return the government put in 60%. This proposal had been put together jointly with the ITB. The tangible benefits therefore were that the small sugar cane growers now had the capacity to produce quality sugar cane, so they did not need to be employed because they could look after their own sugar cane permanently. There were other social benefits, like where Tongaat Hulett had provided money to upgrade the infrastructure in the surrounding schools in the communities where these projects were taking place. Judge Ngwenya said he would come to the issue of job creation and the figures, because he was sure that the ITB had the correct details. He did not see the relationship being a precarious one where the poor would end up being poorer. In fact what had happened was that Tongaat Hulett had scaled down on growing sugar cane on its properties. This had closed the gap for the small sugar cane growers, because they were able to produce as good a quality of sugar cane as was produced by large scale sugar cane growers and producers. Mr Madella said he was also interested in the kind of jobs that were created. He asked why the ITB was unable to fill two vacancies during the year under review, where the assumption was that those two jobs were located in the lower levels of staff. If there were 30 employees in contract posts, why was it not possible to fill two vacant posts? He asked further why contract posts could not be turned into permanent posts. The Chairperson said that the six people who had resigned were linked to what Mr Madella had said about the two vacant posts. She asked if the posts had been filled. Judge Ngwenya replied that one of the two vacant permanent positions was for a real estate manager for design, which had become vacant towards the end of the last financial year. The other vacancy was for an assistant registry clerk. The ITB was trying to address this vacancy as soon as possible. The Secretariat had requested that they employ someone on contract in an emergency position against these permanent positions, but the positions had remained vacant. He was sure the ITB was one of the organisations where it was found that there were more people on contract than in permanent posts. The reason was that the need for the board to operate efficiently had become greater, and the process of having an organogram in place in time had taken too long. There was a long process that needed to be complied with. As a result, the ITB was burdened with this situation. However there was a proposed organogram under review that awaited the Board’s approval. Human resources was giving guidance in this regard. The positions currently under contract were not for the short term, as they would be needed in the future. Mr Madella said that it was important to emphasise the good things by providing more information on the performance elements of the report, such as the number of Traditional Councils that had surpassed the targets. How was this done? Judge Ngwenya apologised for not having provided the information. Sometimes the targets were set too high, hence they were not achieved, and sometimes they were set too low, and the target was over achieved. Also, with the current level of staff, more training was needed for staff to meet those targets. The Traditional Council needed to be exposed to training so the process could be expedited. He added that this process was not Board driven -- it depended on the individuals who wanted to obtain these goals. More marketing was needed so more people could come and apply for the convergence of indigenous titles to lease holding. Mr Madella said that there were a number of mines on the land that fell under the jurisdiction of the ITB, but he did not get a sense that there was a relationship with the mine owners and workers, apart from royalties. He asked what the direct benefit of the mines was to the community, and whether the ITB, for example, took a direct interest in mine workers. Judge Ngwenya said that there were two things he could speak about as far as the mines were concerned. There were mining houses on Ngonyama land, and employees’ housing projects. The ITB report had information about a Traditional Council which had set aside land for development. This was what the ITB had in mind, because for proper development to take place there were a number of regulatory requirements that had to be met. The ITB was mindful of this and appreciated the direction taken by the entity that was entrusted with land management jointly with the Traditional Council. The land would be made available for housing development. This was why the ITB felt it needed to look beyond the government rural housing project, and look at GAP (Government Accountability Project) housing and beyond that. This would need a joint venture, with municipalities coming up with infrastructure and mining houses coming up money. But apart from that, there were other tangible benefits which could not be commented on because they were not really governed by the ITB, and might give the wrong impression. This was because in line with the Department of Mineral Resources, each mining house needed to have a social labour plan. So there were benefits coming from that part of the social labour plan, where mining houses could contribute towards road construction, and there were clinics and schools arising from those projects. Mr Nchabaleng said that he was pleased that there were no issues regarding cutlery, like in the previous financial year, but now there was the issue of traditional carpets. He expressed concern about R181 000 being spent on traditional carpets. He asked how many traditional leaders had received carpets, and why. How many carpets had been bought, and what criteria were used to decide on who got carpets? Judge Ngwenya replied that they were called traditional carpets because they were made out of the hides of cattle. It was a once-off matter. They had been bought for the King for ceremonial functions. Mr Nchabeleng asked who the children were who got educational awards, and what their family backgrounds were. Were the children of traditional leaders being taken to school at the expense of poor children who could not afford schooling? Judge Ngwenya said the role of the Board was only to facilitate payment. It received a list from the Traditional Council which had interviewed the candidates for scholarship awards. Knowing how much funding was available, they did all the screening themselves. The ITB just got the list of candidates and the institutions. Whether the recipients were the children of traditional leaders or other ‘ordinary’ people, was not known to the ITB. Looking at the numbers, the ITB wanted to believe that those were children from the community. However, now that the Committee had asked the question, it would be important for the ITB, with the list that it had, to go back to each traditional council and get that information, so that the question was answered swiftly. Mr Nchabeleng said that the Acting CEO/CFO had said in his response to the question about the software the ITB was using, ‘we are using our own funds’. He felt that was negative, because the Committee was interested in all funds in the ITB and how they were used, because that money would not be generated if there were no ITB. The fact that the ITB had generated that money did not mean it could be used any way the ITB saw fit. This included buying unnecessary and expensive things. Mr Nchabeleng said that he was concerned about members of the Board doing business with the ITB, including the King himself. This was in reference to the finding that the King was a shareholder in a company. How did one compete with the King’s company? If there was a tender process, it was likely that the King’s company would obviously get the bid. Page 62 of the annual report had all the people on the Board who were involved in business. He found this problematic. These were some of the issues that would make people say that the King should be called to the meeting. Some people could say that this was being disrespectful, but when there were issues like this, and in the name of public confidence in our finances and the way we do our things, some of our practices really lead to many questions that are very difficult to ask. It was not easy to ask questions about the King and his business, but if from time to time it was getting into our area and into our reports. When we did analysis, we saw even members of the Board were involved in business related to land. Judge Ngwenya replied that what the Member was raising was important, not only for now but for the future. This was not a matter that was supposed to go for tender. The amount reflected was R4 000, and therefore would not be subject to tender. What happened was the staff of the ITB had purchased wine as gifts. There had been no tendering process. It was wine that was on the market. It was something that had been discovered through the invoicing, without it even being noted how the wine was acquired. He was just explaining to the Member that it was not that the company did business with the Board, but the staff had purchased wine and what was disclosed was that the wine came from the company in which the King and he himself had interests. The Chairperson asked for clarity about the fact that the report did not speak about wine -- it spoke about subsistence and travel. Judge Ngwenya replied that the narrative stated that this was a subsistence and travel amount. He did not know how that came about, but what was known was that it was expenditure that had to do with wine, and the CFO had said that this was how it was allocated. Mr Mhlongo said he wanted to caution the judge that this had been raised in 2012 and 2013. Procurement and contract management at the ITB was poor. There was no policy in place. This had been raised again this year. There were no policies in place, and there was a conflict of interest. It was as if Board members had just decided to buy a carpet for one Board member. He expressed concern and asked why this was only done in KwaZulu Natal. This question was directed to the Minister. He said the entity should be reshaped. Mr S Mphethi (PAC) said he was new to the Committee and just wanted to check the ownership of the Ingonyama Trust Board. He asked if the ITB was involved only in the land that belonged to the KwaZulu Natal government, or had it also expanded to land that used to be owned by the Natal provincial administration. Judge Ngwenya replied that the land did not include the land once owned by the Natal provincial administration. The Chairperson said that looking at the report of the ITB, it seemed that most of its activities were outsourced. In the annual report on page 10, the Secretariat structure had a chart with four items: Information Technology; Legal Services; Communication and Special Projects. She asked why none of these topics were reported on in the annual report. Judge Ngwenya replied that with regard to Legal Services, the report seemed to have escaped this report. This was not outsourced, as there was a legal officer in the office as one of the approved staff in the organogram. Communication was one of the positions in the organisation that was also not outsourced, and likewise with Special Projects. The three reports for Legal Services, Communication and Special Projects would be made available to the Committee. The Chairperson asked for a detailed breakdown of Goods and Services, in terms of what had been bought and at what cost. The Committee was just given an amount and required an understanding of what was meant here. Judge Ngwenya said that this would be attended to, and the information would be provided. Mr Mhlongo registered a point of order. He said this question had been asked long ago. The delay in providing the information did not help the Committee to do reflective oversight. The Chairperson said that in future, the ITB had to make sure Goods and Services were broken down with the accompanying costs. Judge Ngwenya said that this was noted, and the Acting CEO would also comment on this. The Chairperson said that the statement “R9 million for agricultural support”, was seen as a general statement. How was this supposed to assist the Committee? She asked which Traditional Council the ITB had supported. She asked what the ITB had done and at what cost. This would assist the Committee, so that when it did its oversight visits, these projects would be included. Judge Ngwenya said that this matter would also be attended to. Mr Mia said that the ITB did not have the information about the Traditional Councils that it paid or funded right now. That information was readily available, and would be submitted. The Chairperson asked for clarity about the deficit. This deficit was unclear, because the ITB had savings and investments. Mr Mia replied that if one looked at page 70 of the annual report, there was a consolidated income and expenditure of the ITB with a total revenue of R104 497 739, a total expenditure 108 333 581 and a deficit of R3.8 million. The expenditure was more than the income. The detail of the expenditure of R108.3 million was reflected on page 70. The deficit was mainly in relation to the rates provision that had been made. The rates provision made in 2013/2014 was about R48.9 million. Part of this was about R34 million, which was from the previous year 2012/2013. The ITB debate with the Auditor-General had been that this should in fact have been disclosed in the 2012/2013 figures. They had said it was an adjustment to an accounting estimate, rather than an adjustment to an accounting error, hence the deficit. The Chairperson asked for clarity about ‘Finance Income’ as it appeared on page 41 under Total Revenue for the year 2013/2014. Mr Mia replied that ‘Finance income’ was an alternative term used in accounting, and basically meant income from investments -- in other words, the interest earned from the investments. The Chairperson said that on page 39, ‘Capital expenditure at cost’ had the amount of R3 139 749 for motor vehicles. She asked how many vehicles there were, and who was using them. She asked further if there were any employees of the ITB who qualified for subsidies and if any vehicles were disposed of in this financial year. The figures did not assist the Committee, and should be broken down to make it clear what the costs and insurances were so that it could be seen how this amount was used. The Committee had to see what it was that was purchased and disposed of in this financial year, even with an item like furniture. Just showing the figure did not help. The ITB could not be buying furniture each and every year. She felt the money used to buy furniture each and every year should go to the community for community improvements. Mr Mia said that about nine vehicles had been purchased: three double cabs, two pickups, three station wagons and one ordinary motor car. The ITB had not disposed of any vehicles in the financial year. The Ingonyama Trust employees used these vehicles. Each vehicle was fitted with a modern tracking device and each one of these vehicles was properly ensured. Mr Mia replied that in 2012/2013 and 2013/2014, the ITB had moved into new offices and the staff complement had been increased. Furniture was purchased for the offices for use by Board members, but that did not make up the material amount for furniture purchased. Because of the increase in the number of staff, the ITB had purchased office furniture like desks, tables and filing cabinets. The Chairperson said that the issue of cutlery was still appearing. She asked if the ITB bought cutlery in each financial year. Cutlery could be used for a minimum of five years. This was not a hotel -- it was just office cutlery. Mr Mia said this question was raised in the previous meeting, and the ITB had explained then that it did not buy cutlery on an annual basis. Due to the nature of the business and increased activities at the ITB, the increased number of staff and the meetings that were held, there was obviously a need for cutlery. This was not a material amount really, in comparison with the total expenditure. The Chairperson asked about progress on the Zulu history book, because close to R1 million had been spent on that project. Judge Ngwenya replied that currently there was a judgment in favour of the Board, and now there was a question of executing the judgment and seeing whether the money could be recovered or not. The Chairperson said that in the human resources overview, the CEO had given different figures regarding numbers of staff members. One said 57 and 50 staff members; and one had said 55 and the other 58. Judge Ngwenya replied that the number of employees was 55. He did not know how to explain the discrepancies, because one did not look at numbers all the time. He had seen the contradiction and in his recollection, the number of staff members was 55. He could not understand how 58 and 57 had come about. Judge Ngwenya said that with regard to the office of the CEO, it was correct in the year under review that at least the IT part had been substantially outsourced because there were no personnel. At the end of the financial year, one of the contract positions was now that of an IT specialist. The Chairperson asked why there was over-expenditure of 84%. Mr Mia replied that as he had explained earlier about how the R3.8 million deficits came about, the over-expenditure was due to the increase in rates provision that the ITB had made. Mr Mhlongo said that the ITB should give the Committee the figures in their organogram, because sometimes the organisation had duties and sometimes those duties were outsourced. He asked if he could have the organogram, especially the one on human resources, in the next meeting. The issue of policy and procedures on procurement at the ITB had been raised before. This had not been sorted out. It was important to have policies in place. He appealed to the Minister to intervene here. He asked what training the ITB was providing for Traditional Councils. Mr Madella said that 84 students were awarded bursaries or financial aid, spread over two municipalities. Different allocations had been made to students from different municipalities, R6 000 to the one and R10 000 to the other. He asked why there was this differentiation, because it could be seen as discrimination. He said that previously the Committee had asked the Judge about dissecting the allocations in terms of disability, so that one could see how many of the students were disabled. At that time, the ITB did not have the answer. He asked if that information could be provided in the future. Judge Ngwenya replied that it had been said earlier that the Board received a list of students from the Traditional Council, once they knew how much money they had. They then decided how to process the invitation to potential scholars who were going to be funded. They also decided on the amount to be paid to scholars, and the information as to where that scholar would be studying. The Traditional Council provided that information. With regard to the situation where Traditional Councils were allocating different amounts of money, Judge Ngwenya said that the practice of the Board was that income devolved where it was generated. There was a mine in Zululand that was paying royalties, and these royalties were distributed amongst the Traditional Councils in Zululand. There were four Traditional Councils in Zululand, but one would not the see the names of the others because they had not instituted learnership programmes. Mr Madella had made reference to a specific district, and the Traditional Councils in that district had a number of game reserves from which money and a number of leases were generated. So according to the Board’s policy, monies generated from a particular community went back to that Traditional Council. The Chairperson said that on page 30, mention had been made of a total payment to Traditional Councils in 2013/2014 in the amount of R3 835 109. On page 68 of the annual report the disbursement of funds to beneficiaries was mentioned. The budget was R31.5 million, and it was stated that R3 835 109 was paid to Traditional Councils. She asked if a list could be provided with each of the Traditional Councils, and the amount each one received. Mr Mia replied that if one looked at page 68 of the annual report, it could be seen that a provision of R31 million was made, based on the budget. The actual amount determined was R28 million. That R28 million was calculated from the income of the ITB. 90% of the income that the ITB generated – meaning 90% of whatever figure was calculated - excluding transfer payments and straight lining income which was not realisable, meant that the R28 million was basically an income statement provision, or income statement item. If one looked at page 60 -- the accumulated provisions that the ITB made on a yearly basis -- that provision now amounted to R169 million. For 2013/ 2014, the ITB paid actual cash of R3.8 million, not R28 million. So in actual fact the ITB paid R3.8 million, which on page 60 was reflected under provisions. The ITB did not account for payments on a cash basis. If it had to do so, it would have reflected R3.8 million. However in terms of policy, the 90% was first. In other words, of the income that the ITB generated, 90% of that went to Traditional Councils as a provision. The Chairperson asked if the Acting CEO could unpack this in simple language. She asked if it was the same money for Traditional Councils and beneficiaries. Mr Mia replied it did indeed come from the same expenditure account. He explained that if the ITB had to receive R100.00 or generated R100.00 by means of invoicing, 10% was kept for the ITB administrative costs, which was R10. R90 would therefore go to the Traditional Councils. On an annual basis, assuming the following year that the ITB made the same income, it meant R10 for this year and R10 for following year, or R20, till that R20 was treated in the provision as a liability in the balance sheet. So now R20 was accrued/payable to Traditional Councils. What happened was when a request was received from a Traditional Council, the ITB would then see how much it had, based on what was in the credit of the Traditional Council. Hence R3.8 million was a payment against R28million. This was an accounting concept. The Chairperson asked if there were any guidelines as to which request from a Traditional Council would be considered. The Judge said any request that ultimately came to the ITB was sanctioned by the Traditional Council, based on what they had been made to understand and what they had in the kitty. Normally, the ITB would say, for example, that it had R1 million for disbursement to a Traditional Council. The proposal had to be for the benefit of the community. Based on that, the Traditional Council would put in a request -- for example, for a school or a crèche. Most of the time, according to the guidelines, the ITB would refuse especially where the government already had such a competency. A detailed policy on this was already in draft form, because questions had been asked about this for some time now. The ITB did not have a draft policy which outlined what projects the Board would approve. The Chairperson thanked the Judge and his team for the presentation, and also commended them for the good work. Supply chain management was working very well, and also the ITB was able to pay service providers on time. The ITB had to consider the list of assets they had ordered in the year under review. The R3.8 million for the Traditional Councils had to be broken down to show how much each council had received. The Legal report, the Communication report and the Special Projects report were supposed to be part of every report of the ITB, whether it was an annual report or a quarterly report. The Committee needed a report of all those sections. The Committee needed a breakdown of what the R9 million Agricultural Support consisted. It also needed a list of the vehicles in writing, and their cost. The Committee had asked for the policies and drafts so that it would be clear about the ITB’s policy on educational awards. The Chairperson said that the costs for travel and accommodation should be decreased. The Committee needed to know to whom, how many and what amounts were given when funds were disbursed to beneficiaries. The Committee expected that 90% of the money should be used for the people living on ITB land, because those people were supposed to benefit from all investments and money generated within the ITB. Ms Nomfundo Gobodo, Chief Land Claims Commissioner: DRDLR, said that the purpose of the restitution programme was aimed at the settlement of land restitution claims under the Restitution of Lands Act, 1994 (Act 22 of 1994). The strategic objective of the Commission was the restitution of rights to land or the award of alternative forms of equitable redress to claimants, within the Medium Term Expenditure Framework budgetary allocation. The Commission had exceeded its targets by settling 270 new claims against the target of 230, and finalising 292 claims against a target of 208. The Commission’s performance benefited 36 905 beneficiaries of the restitution programme. The total financial value of the claims that were approved during the period under review was R2.056 bn. The total expenditure was R2.334 bn. The expenditure included expenditure backlog claims, which had been approved in the previous financial year, and where payments had not yet taken place. (See document). Mr P Mnguni (ANC) asked about recourse for land claims. He said this had been asked before and the response was that people could go right up to the Constitutional Court. He asked if there was a recourse mechanism within the Commission’s own system, where people could be referred to institutions and establishments that they would never be able to reach under normal circumstances in terms of finances and expertise. Ms Gobodo replied that in terms of whether the Commission had a way of assisting claimants who, as a result of errors in its research, had not been incorporated, it was able to resolve those but it depended on the nature of the claim. If it was a community claim and it was a family member who had not been incorporated and a specific error was established, then the Commission was able to interact with the Committee to ensure that those beneficiaries were incorporated and that they benefited because of the community nature of the claim. For an individual who had a right to separate from the group that had already claimed, the Commission would advise the person to lodge a new claim, and this would be dealt with. They did not necessarily have to go to court, as the Commission’s provincial structures would be able to assist them. If the Committee had specific problems, then she would take responsibility to assure that the problem was dealt with. Mr Mnguni said that in a presentation an outstanding academic and leftist activist had shown that South Africa was not that advanced if one looked post-199,4 where the power in rural areas still remained out of the reach of the rural community. He had checked the location of the Commission’s offices in order to reach out. He had also checked the former Transkei, and there was no mobile office or anything like that, yet it had a vast majority of the rural population. The question was, how did the Commission hope to reach out to those rural masses, especially the downtrodden in the former homelands? Ms Gobodo replied that currently the Commission’s offices were based mostly in urban areas, but it had district offices of the Department that were also used to assist the Commission. The Commission agreed that it was planning on extending its footprint so that it was able to be accessible in the rural areas. The Commission had spoken about mobile lodgment and communication units. These could be used not only for lodgment, but also for general access to the Commission. Work was being done to make sure the Commission was more accessible. Mr Madella said that the Commission needed to be congratulated. because they had exceeded their target and done excellent work. He knew this was not a stated target but he was worried about the slow pace of restitution. The Commission had been able to hoard 68 000 hectares of land in this financial year, and this was a drop in the ocean. This had to be to be weighed against a much bigger picture, and surely one could not blame the Commission because they had done so within the mandate they had received. One wondered about the availability of much more funding, and if the fiscus could completely open its doors – this was directed to the Minister - and if much more money could be made available and whether the Commission would be able to dispense with that in the same manner they had done in this financial year. Ms Gobodo said the Western Cape had done very well. The number of claims did not necessary relate to the expenditure budget, because Kwazulu Natal, Limpopo and Mpumalanga had large rural claims which benefited a larger number of people, and were usually more complex and took longer to deal with. In the coming year, the Commission was introducing a project called Paced Claims Projects, because this allowed it to break down a claim specifically, and see how it progressed. Ms Gobodo said that the specific case in the Eastern Cape was one that could be dealt with and, if not, there was no reason why the individual could not be added if there was a community attached to that claim. However, if it was an individual that wanted to claim a separate piece of land, then it was better for that person to lodge a claim and then the claim would be dealt with. Mr Mhlongo said that about R39 million had been reversed for unclaimed vouchers. He asked what mechanism the Department had to allocate money to beneficiaries. It seemed that there was no intergovernmental relationship between provinces and the national Department. There was also no unification with regard to Information Technology (IT) systems. There were no systems in place to locate beneficiaries. There was an intergovernmental relationship problem, as the old system and the new system were not in communication. There were 88 471 outstanding claims. He asked how many outstanding claims were due for adjudication. Ms Gobodo replied that in instances where a claim was settled and the Commission was ready to pay out, it often had to pay specific beneficiaries. This was done through a voucher system, where the voucher was actually allocated through ABSA. The claimant could then cash out the voucher as soon as they received it. In instances where beneficiaries did not show up for some reason, an attempt would be made to trace them and the Commission had to reallocate to the next generation. Mr Mhlongo asked what mechanism the Commission had in place to assist claimants. Ms Gobodo replied that each province had district managers and project officers that were responsible for specific areas of a claim. If the Commission’s financial team identified that it was a matter of vouchers not being paid, it had a responsibility to pursue how to finalise the situation, because as long as the vouchers were not reversed, for example, it was found that there was an additional beneficiary who should not have been on the list. The office had a responsibility, so there was a formal process. The Commission also had a reconciliation system that it worked with banks, so there was an understanding of what had been paid or not. Specific amounts of money were allocated for specific projects. Ms Gobodo said that parliamentary questions had been sent out, and she suspected that there might have been an issue over the interpretation of the language, because when one said “adjudication,” overall adjudication of land claims meant adjudication of everything, whereas when one spoke of adjudication of matters in court, one would get a different response. There were also situations where one could say “adjudication,” depending on the various stages of settling the claim. She would take responsibility for not providing the correct information. To date, the Commission had settled 87% of the claims and it was left with around 88 471 claims. It was at various stages of research again, and as had been seen with the Western Cape situation, the Commission was prioritising its activities. This meant dealing with the smaller claims that were easier to manage, so that they could be settled and finalised quickly. With the complex ones, the Commission was engaging with universities to ensure that they were researched as quickly as possible so that they could be finalised and settled within the budget. Mr Mngxitama said the Minister had reassured the nation, and had said that there was no crisis. The truth was that all the evidence pointed to the fact that there was no money for restitution -- in fact, for land redistribution. This was the truth. The second point was that there was no plan to deal with crisis. The Auditor-General’s presentation earlier had made it clear that R4 billion was needed for approved projects. This would resolve the claims spoken of, before the claim process could be reopened. This Department, advised by the Commission, had asked for R180 million in this financial year. This was in anticipation of these claims. Something like R2 billion was given for every year. There was a massive problem here now. This included the fact that if one just thought about it, close to R2 billion had been paid for the Mala Mala Land claim, so half the budget had gone for one claim. Now the Committee sat here, as responsible leaders of the nation, and reassured one another that there was no crisis on their hands. It was known that the anticipated new claims would be in the region of 40 000, but old claims had not been resolved. He was almost making an appeal that it should be accepted that there was a crisis, and then it should be asked how one got out of this crisis. It was a budgetary problem, because there was a policy commitment to buy land. There was a simple solution. It should first be acknowledged that the land was stolen. There had to be an admission. There were new claims now, and there was no means to resolve those claims. There were specific claims that he would raise before the Minister left. There was no money to pay for restitution. There was a solution. This land should simply be expropriated, because this land was stolen property. However, this solution required political courage which was lacking in the ruling party. The Minister said that there was agreement in the provinces in particular with regard to IGR (Intergovernmental Relations) that provinces should now take responsibility. There were now quarterly meetings with the MEC, who received reports from the districts. He said the Member came from a background which did not have a real ideological framework, hence he confused issues. It was not necessary to say what he had about the ruling party. There was no crisis. The crisis was in the manner in which they perceived things. The EFF did not have a policy because they had never had a conference where people spoke about issues. It was just the leaders speaking. The Chairperson said to Mr Mngxitama that while he was talking, the Minister had listened without interjecting. Mr Mngxitama interjected again, and said the problem was that he was not responding to what he had asked. The Chairperson said that Mr Mngxitama would have the opportunity to respond. There should be no interjections. She asked Mr Mngxitama to listen, and if he was unsatisfied then he should raise his hand. This meeting needed to be run respectfully so that the Committee could get the information that it wanted. She asked Mr Mngxitama if he wanted to make a follow-up. Mr Mngxitama thanked the Chairperson. He asked the Minister where the R4 billion was going to come from to pay for the approved projects. The estimation was that there were 40 000 new claims and the Department itself had gone to the National Treasury to ask for R180 million. He asked where the plan was to raise that money. The EFF believed there was a simple solution to this, and that required political courage. Maybe the Minister had the answer, which was why he had asked the Minister for a response, because people had been waiting for too long. He would have follow-up questions but he felt things should be taken slowly, one step at a time. The Chairperson said that it should not be forgotten that the meeting was busy with the annual report for 2012/13 and 2013/14. In other words the issue of new claims would be contained in the next annual report. Mr Mnguni thanked the Commissioner for the good attempt at responding to his questions. His concern was that all Committee Members were political activists and members of political parties, therefore issues of a political nature should be handled very sensitively. The Minister had said that there was no crisis. He himself lived in a rural area, and had not seen a crisis there. The people understood the challenges that still continued to face them, and that would probably still face them over the next 20 years. Therefore, the understanding was that good progress had been made. The progress on the land issue was quite satisfactory. Mr Mnguni said that expropriation had to be examined very scientifically. A 6% party could not propose expropriation. It would need a 62% party to buy into that. Therefore the attitude of the 6% party would have to change drastically towards the 62% party in order to sell the idea of expropriation. But if it was sold, it would probably be about historical socio-economic issues being regarded in a mechanistic way. This concept of expropriation had to be subjected to thorough debate. If it did not bother the Chair, a discussion paper on expropriation would be very welcome. The Minister reiterated that there was no crisis. The Chairperson said that the fact that the Commission had exceeded its targets was appreciated, but looking at the outstanding claims, the Commission should attempt to ‘beef’ up its targets so that a long time was not taken again to deal with outstanding claims. It was known that the Commission had research capacity problems. She hoped the Commission had approached institutions that were willing to assist to fast track the research process, because that was very important in the whole restitution process. Ms Gobodo replied that the Commission was prioritising the research component of its work, monitoring research on a quarterly basis to ensure that it was prioritised. With small claims that were easier to research, for example, small claims lodged for land in urban areas, it was able to move very quickly. That would assist in the identification of the claims that had been left behind, and the complex claims that needed help. The Commission has already engaged with the universities to ensure that it got the help that it needed when it came to the research. The Commission was aware of the status of all claims out of the 8 000 -- for example, which ones were complex, which ones were easy and which ones had been completed. The Chairperson asked if there were any fraudulent cases in the area of restitution in the year under review, and how many of cases had been referred to court in the year under review . Ms Mobodo said that claims were sometimes referred to the Special Investigating Unit (SIU). There had been a proclamation signed by the President for the SIU to investigate claims. If there was a question on a claim, the Commission referred the matter to the SIU. Before the next meeting, the available list of cases pending in court would be made available to the Committee. The Chairperson asked for clarity about the type of the awards mentioned, like grazing, agriculture and game farming. Ms Gobodo replied that sometimes it was a game farm, and the claimants would want to continue with the game farming, or sometimes communities would want to go back to agricultural endeavours or grazing land. This actually defined the type of land that was acquired. Mr Mngxitama asked if there was a time frame for what happened when one went through section 42(d). He understood that there was an agreement in place, and asked what happened when a claim was submitted. Communities were complaining. There was even an agreement in the package of documents given to the Committee. The Regional Commissioner had signed off this agreement. He asked what happened in those situations. Ms Gobodo replied that once the 42(d) was approved, it meant that the claim had been settled. When a claim had been settled, it meant that the Minister had signed off and approved it as a claim that was valid. At that point, the Commission had to move to transfer the assets to the community, or pay out financially. The issue was that sometimes the Commission was unable to move immediately from settlement to finalisation. The claims in the Western Cape, for example, were often short urban family claims so one would find minimal issues around disagreements between families. Here one was able to move very swiftly from settlement to finalization, because the registration by the Deeds Office was easy to finalise. Sometimes when one was about to finalise, one got a court interdict because the claimants said that the matter had not been resolved. Mr Mngxitama said it seemed that the largest amount of settled claims were in the Western Cape. He asked if this was financial compensation, or was land transferred. He felt it was fair to say that the ruling party had given up on the land question. The Auditor-General had said that there was R4 billion for approved claims. He wanted to second the proposal for a discussion on appropriation, and he would be very happy to present a paper. University people could also be asked to do so. He wanted to call on the Commission again to deal with financial compensation, because there were huge inconsistencies with the money given to black people when they opted for financial compensation. The other issue was that market value was paid for land taken from white people – this was straight-forward racism. This differential treatment could not be justified. One had to look at how much money went into the pockets of black people, and how much money went into other people’s pockets. He had raised this matter with the Minister in private, but he wanted to take this opportunity now in public. The Chief Commissioner was here, and had been asked the question about Section 42(d) because there was a big complaint in the greater area Mandlovi area. A problem had arisen because white owners continued to simply leave the farms, and no one had told the community that they could take hold of their land. Senior members of the ruling party had been implicated in taking that land. This was a matter that the Minister should take seriously and the Commission should follow-up that particular case, because the EFF was going to raise this matter over and over again. The community said that politicians had taken their land. He asked how come the white man just left the land, and the community had been waiting, for example, for two years. The Minister said that he was aware of these issues, and they were being dealt with. The Chairperson said if there were issues on the ground, they should not be left for meetings. The Office of the Minister was open -- all the offices of government were open -- and people who were aggrieved should not wait for meetings. The Chairperson thanked the Commission for the presentation, as it clearly reflected progress. She wanted to encourage the Commission to do more. The work that the Commission was doing was appreciated. It should be remembered that there would always be challenges, but one needed to develop plans to deal with those challenges. The issue of title deeds should be taken very seriously. After the land has been given back to people, the title deeds should also be given back. The issue of title deeds should not be delayed, because if people had land but no title deeds, they did not have confidence that the land was theirs. The Committee would await the list of the cases pending in court, and the restitution cases. Mr Eugene Southgate, Deputy Director-General: DRDLR, said that the 2013/2014 financial year was a good year for the Department as it had successfully completed its first five-year cycle following its establishment in 2009. During this period, the Department had focused on creating sustainable communities by tackling poverty, unemployment and inequality through the Comprehensive Rural Development Programme (CRDP). Through its rural development programmes, it was committed to support 90 rural enterprises and managed to support a total of 433 rural enterprises. Mr Thapelo Motsoeneng, Acting Chief Financial Officer (CFO): DRDLR said that the Department had five programmes which had been funded to the tune of R9.5 million for the 2013/14 financial year. During this financial period, Cabinet had approved the introduction of the Restitution of Land Rights Amendment Bill, as well as the Property Valuation Bill, to Parliament. Incidents of fruitless and wasteful expenditure had declined by 84% (R35.7 million to R5.4 million) from the previous year, which indicated that the Department was improving on its internal controls. Despite these gains the Department has regrettably incurred increased irregular expenditure, from R5.7 million in 2012/13, to R12.6 million in 2013/14. Replacing new technologies in order to both develop and deliver at the rural and metro interface of the country. The Department had obtained an unqualified audit opinion, with matters of emphasis. The Department remained committed to maintaining the unqualified audit opinion and would continue to implement measures to attain this ideal. (See document). Mr Mduduzi Shabane, Director General (DG) said that the annual report for this period represented continuous business. This allowed the Department to benchmark itself against many other state departments, some of whom had been in existence for longer than five years. Considering that this Department was established in 2009 and there had been a lot of work to be done, a lot of improvement had been made. A clean audit was becoming a dream that was realisable. The Acting CFO had made reference to conflict, and the liability that the Auditor-General referred to, of rates and taxes for which the Department had not made provision. This was a big government-wide programme. The Deputy Director-General had reported earlier on that the Department had completed the land audit, and found that 14% of land in South Africa was owned by the state. There was a current price tag in the form of debt across all spheres of government, of about R4.2 billion that was owed by various government departments. A forum called the Forum of South African Directors-General had put together a task team to find a way to respond to these particular challenges. In the case of some of the departments, if you one had to take their debts into account, their mandate would have to come to a complete stop. There was now a team of DGs who would report to the government on how to tackle debt across government. Mr Mnguni commended the Department for their performance in the year under review, as it showed a government seriously at work. He also commended the Department on the continuous unqualified outcomes. He said the vacancy rate of 18% seemed to be increasing. He invited the comments of the DG and the Minister on this occurrence. Mr Southgate agreed that the vacancy rate was a bit high, and the Department was developing strategies to deal with it. It was being monitoring now on a monthly basis. Employees had been asked to put their recruitment plans in place. The vacancy rate was just below 15% in the current financial year. Monthly reports had to be submitted, and people were being held accountable if they did not fill their vacancies. Mr Mnguni said that the Department was close to reaching the 2% target for disabled persons, and this was a good thing. The figure was 2% when rounded off and was actually1.6%. The 0.4% could translate to 50 positions to be occupied by disabled persons. Mr Southgate added that the Department was approaching appropriate organisations and developing a strategy in this regard. He liked the fact that the Department had to reserve certain posts for disabled people. He felt that the Department could go beyond the target, and achieve more. Mr Madella asked the Department to clarify two numbers about youths enrolled in the National Rural Youth Service Corps (NARYSEC) programme. The one figure for skilled youths was 1 805, and the other number was 1 263. He asked if the lesser amount indicated that about 600 had not completed the course or acquired the necessary skills. He asked further what the scenario with regard to learnerships was. There had to be some way to define the remuneration that applied across all government departments. Mr Southgate said the 1 263 were already in the programme, and who had gone on skills development initiatives. The 1 805 were the new persons who had come into the programme last year. The Acting CFO said that with regard to the issue of the classification of learnerships, there was a special category called ‘learnerships/internships.’ A programme had just been developed for it. The DG said that with regard to the academic programme of the Department, it offered a whole range of themes and specialised areas. If one looked at the deeds environment, there was a specialised programme. There were qualified trainers who taught specialised training at matric level, and partnerships with universities, where the Department was sponsoring bursaries for quantity surveying. The point about land management had been mentioned before, but there was probably no university that was offering a degree in Land Management. There used to be, but there had not been a large intake for it. The Department was going into this area in a big way in the future. It needed to start investigating the possibilities of partnerships. If one looked at the country, it had neglected the area of land administration generally, and this was the area where the Department was beginning to develop policy. The Department had asked the relevant branch to investigate the possibility of programmes. Mr Madella commended the Department for receiving a clean audit. However he drew attention to points 17 and 18 of the general recommendations. He said one would want to see fewer the points made by the Auditor General. The Acting CFO said that the target for the Department was a completely clean audit. However, the AGSA opinion did not have matters of emphasis. Mr Madella commended the Department for reducing irregular, fruitless and wasteful expenditure by 84%, but said there was an increase in irregular expenditure. This boiled down to same thing. He was concerned that this was money not reaching the intended recipients. The Acting CFO said that irregular expenditure should be reduced. The FFC (Finance Compliance Committee) process, which was institutionalised in the Department, could assist in bringing matters to a logical conclusion. Mr Mhlongo felt that the ITB had to teach the Department how to pay contractors in 30 days. The Acting CFO said that the ITB got a lot of leeway from their colleagues in the Department of Transport (laughter) in terms of their financial systems. They were using Pastel, so they did not experience the inherent difficulties that came with transversal accounting systems. It was not always easy to manage it that way. However, the Department had plans in place and was about to implement its invoice tracking system. It had produced a turnaround plan with the Forum for South African Directors General. Service providers were asked not to change their banking details without letting the Department know. There were a number of interventions inserted into that turnaround plan. DDGs were now directly responsible when payments were not done on time on programmes that were controlled by them. The Department was at about 88% of payments made within 30 days. Mr Mhlongo expressed concern about people leaving the Department. He asked if the Department had explored how to retain staff. Mr Southgate replied that the Department wanted to formalise the exit process so that it could understand why people were leaving. A lot of people did not want to talk about it, but the Department could put mechanisms in place so that written reasons or online responses were given. The Department was working on a retention strategy, but the other factor was that people had to be attracted to come to work in the Department. The Minister had issued a mandate to put the HR development strategy in place. A team of people was working on this, with a deadline of early next year. With regard to training provided, Mr Southgate said it would be formalised to ensure that all training provided by the Department was accredited. When people exited the programme, they could use whatever skills acquired at the Department towards a formal qualification beyond the NARYSEC programme. Mr Mhlongo said the budget held good news, but service delivery needed attention. Mr Mngxitama said that there had been a commitment since 1994 that had been rolled over. This commitment was the target of 30% of the land. He asked if this target had been abandoned. If it had been abandoned, then what was being measured when the Department dealt with the question of land redistribution. The Minister said that the University of South Africa (UNISA) was offering a research masters degree in land reform. He said Mr Mngxitama would be able to relate to that, because he was not only a politician but also academically quite strong. The question regarding the 30% target by 2014 was very important. This matter had been discussed as a Department, which had come to the conclusion that what it really needed was to target two things. One was to reel in the class of black commercial farmers. This should not be seen as a project, because it was a programme that one could achieve moving forward. The Department considered the prospect of black commercial farmers as a very important target, because it was a programme that one should strive to achieve. AgriSA thought that once 30% was achieved, that would be the end of land reform and land redistribution as far as they were concerned. It had never been articulated clearly to them, so when one spoke about land reform, there was a lot of reaction. The second thing the Department wanted to achieve was exactly what Mr Mngxitama was raising -- recapitalisation. The land acquired had to be productive, so the Department was aiming to bring back to production all the land acquired since 1994. 1 351 farms had already been recapitalised. Mr Mngxitama asked what the mandate of this Department was. Its main mandate was to redistribute land. If he had to give free advice, he would say drop every other thing and focus on land. It would have been good if the clean audit had to do with land. He felt that the redistribution of land had been abandoned, and that was why the Department was doing all those other things. Mr Nchabaleng said that there was still a long way to go, even after reaching the destination. This Department was involved in land and rural development, and this was not only about land transfers. There were many other matters related to land. The Committee needed to have a session to look at what this entailed. It seemed that there was a lack of focus. The Chairperson asked if there were any other contributions. Mr Mngxitama said that the only thing he was putting on the table was that there was no programme to return land. The Chairperson highlighted a few issues raised in the annual report. She said the Committee had raised many of the issues that had to be considered seriously. Spending trends of the Department were good. Spending should be in line with performance. Reducing the use of consultants would allow the use of that money for recruitment. She asked what had happened to the 65 geomatic students. The payment of service providers had to be taken very seriously so that interest on late payments was avoided. Accruals had to be minimized, as they impacted on the future budget. The claims against the Department of R2.6 million needed to be attended to. The Department had to comply with the prescripts of the PFMA and policies to avoid wasteful and irregular expenditure. It needed to report on the amount allocated to Land Rights management, and what it was doing about Land Rights management. The Department had to provide a list of all its assets for the financial year under review to the Committee. The improvement in revenue collection was appreciated. The issues raised by the AG had to be taken very seriously to avoid a recurrence. The Department was commended on its unqualified opinion, and appreciation was expressed for its intervention to assist the ITB. The intervention had to be continuous. She thanked the Members, the Minister and Deputy Minister for being with the Committee for the whole day. The questions and answers would assist with the oversight process, because a failure of the Department would mean that the Committee had failed. The questions were aimed at improving performance and service delivery.